Last night after the gym I wanted something light for dinner. But I was also in the mood to cook. So I popped over to Whole Foods, which is conveniently on the backside of my gym and bought way more items than I went in there intending to get. Oh well, such is life. 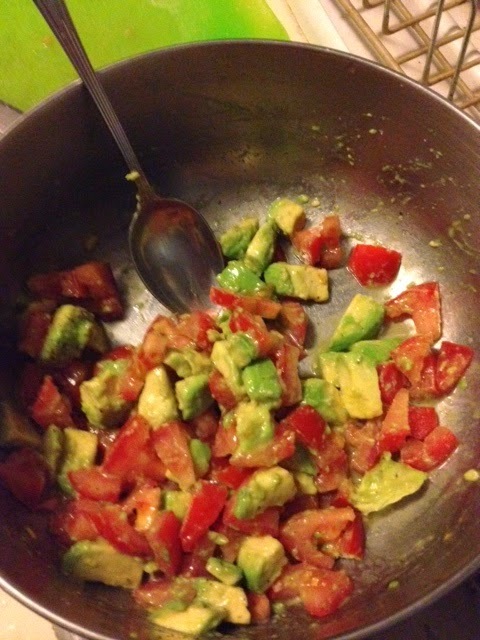 Dice up the tomatoes and avocado and stir in the juice from the lime. 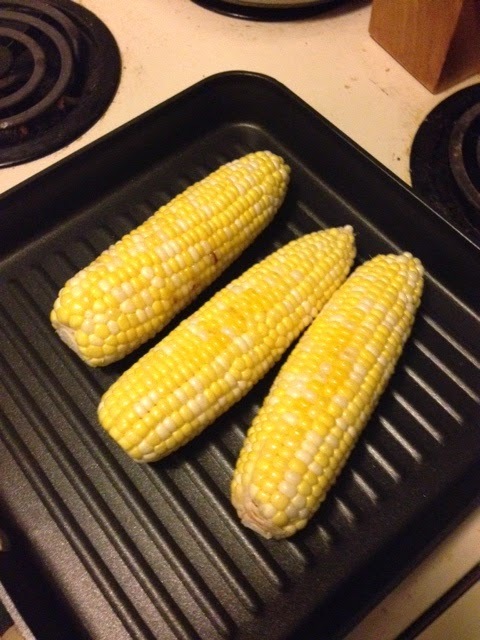 Drizzle ears of corn with olive oil and grill either on a grill pan like me or outside on the grill. 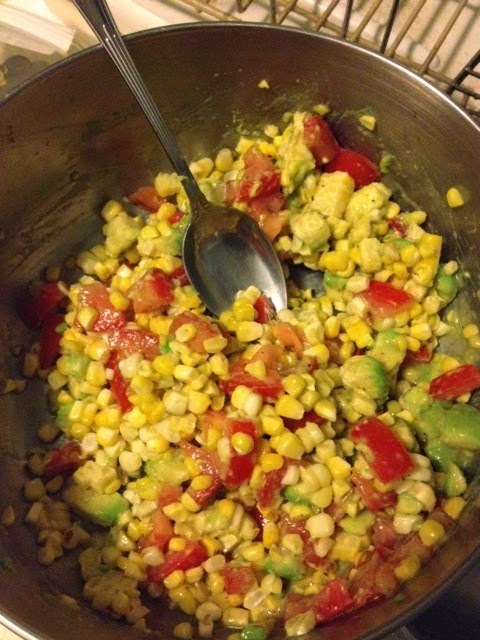 When the corn is done (the kernels change color to a brighter, glossier yellow) cut it off and mix into the tomato and avocado. Add salt and pepper to taste. 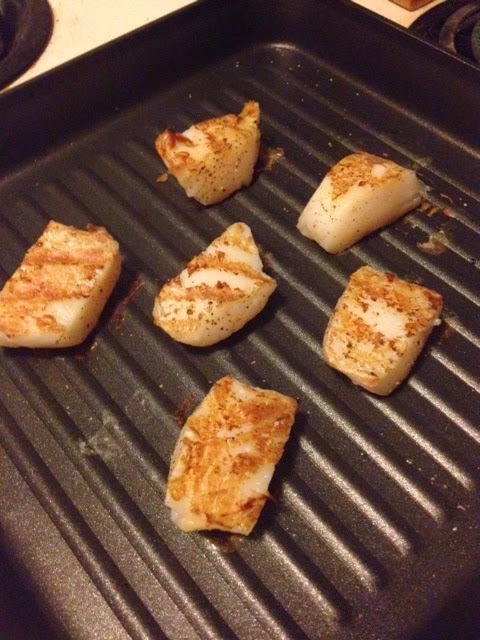 Sea scallops are big so I chose to cute them in half. I sprinkled them with salt and pepper and put them on the hot grill pan for about 2-3 minutes per side. 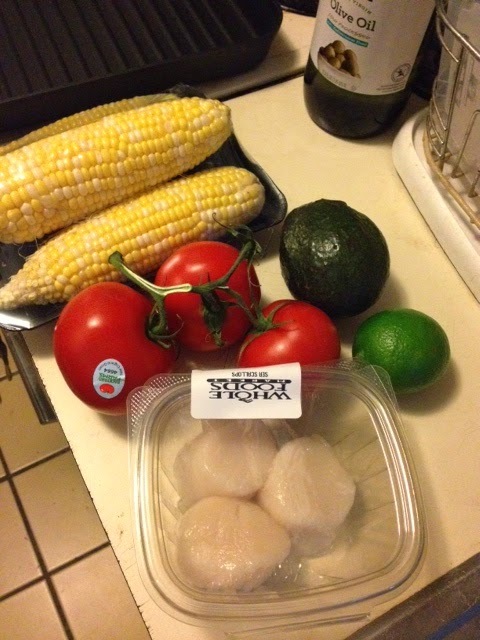 *Quick aside: Scallops might seem a little intimidating to someone new to the kitchen. If you overcook them they become tough and chewy and then it's like eating shoe leather. 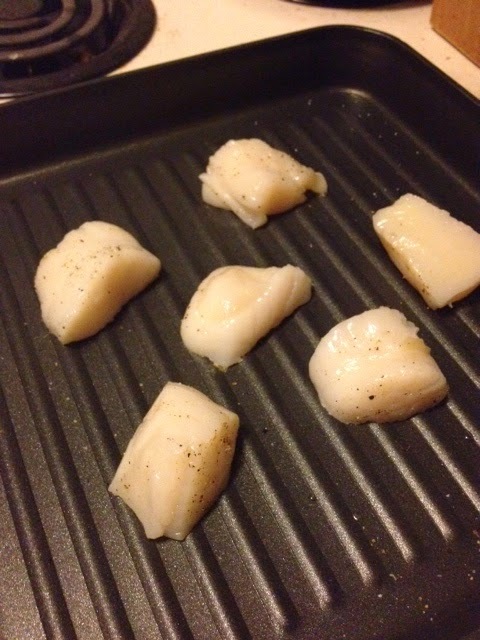 The first time I cooked scallops was Valentine's Day my senior year of college. I made bacon-wrapped scallops and filet mignon for a totally undeserving boyfriend (but that's another story). But my point is that I had never made either of those dishes before and I just decided to try it and it was fine. Don't let food intimidate you. Just give it a shot. Sometimes you might overcook something and have to toss it out, but at least you tried and you'll know what to do better the next time. It's all a learning experience, right? 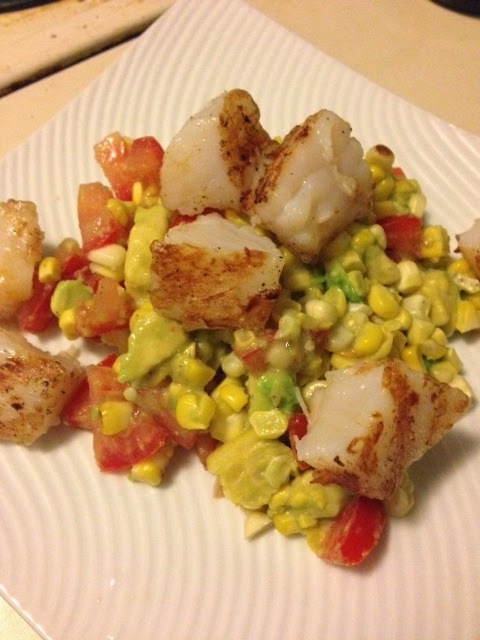 I cut the halves in half again so that each scallop would be bite size and then I just tossed them on top of the summer salad. Another addition might be to put this all over a bed of arugula (I didn't have any in the fridge). This is a light, fresh and filling meal and perfect for a hot summer night. So ambitious for a mid-week meal! I am very impressed.